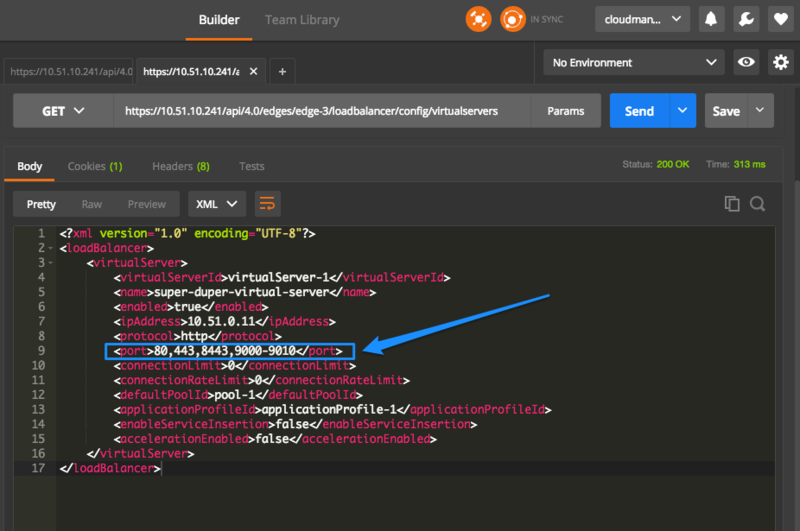 Someone asked me recently how to configure NSX Load Balancing to get a single virtual IP (VIP) with multiple ports. Indeed, applications often listen on multiple ports and to avoid creating multiple virtual servers for that, you can define VIPs that are based on a port range. Reminder: NSX load balancer distributes network traffic across multiple servers to achieve optimal resource use. How does it work? You map an Edge IP address to a set of internal servers for load balancing. The key concepts of the NSX load balancer are, application profile, virtual server, server pool, server pool member, and service monitor. A virtual server (sometimes also referred as VIP or virtual IP) is an abstract of an application service, represented by a unique combination of IP, port, and protocol. This is where you configure the port numbers that the load balancer will listen on. You can define multiple ports (separated by a comma), a port range or a combination of both. 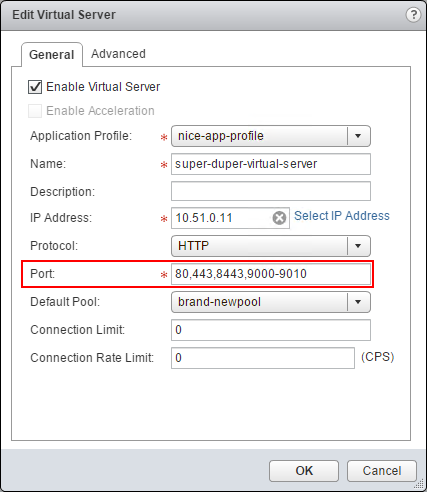 Note: virtual server port range has been introduced with NSX 6.2. Thanks for your very useful post. 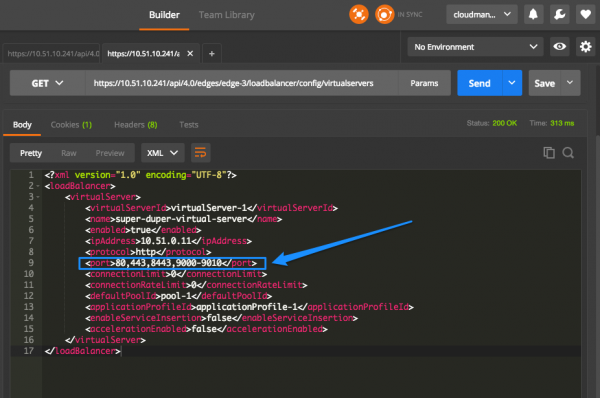 We’re using NSX 6.2.4 and we face a problem when using multi port in VIP. so we have to delete VIP, then change what we need to change in NAT section and create VIP again. I have a question regarding Multi-port Virtual Server setting, We have to MAP a Server Pool to a Virtual Server, As you know in server pool we add the pool servers, Monitor Port only 1 port and only 1 Port, If I have to add Multiple ports in Monitoring port section and Port section, How do we add many Ports which Matches with Virtual Server Ports. Is there any option to add multiple ports in pool section Like 80,9080 etc for same set of servers.